Manchester United have been linked with signing several players so far this summer but so far we have only landed three new signings and one sale. Central midfielder Fred has arrived from Shakhtar Donetsk, full-back Diogo Dalot from FC Porto and goalkeeper Lee Grant from Stoke City. Young goalkeeper Sam Johnstone has left for West Bromwich Albion to get first-team football in the Championship after spending last season on loan at Aston Villa. Not one I’d like to see go personally but the rumours have been so intense that it appears just a matter of time before Anthony Martial departs. The 22-year-old’s form also dipped at the end of last season suggesting he wasn’t happy playing under Jose Mourinho. The boss seemingly doesn’t like him and the French international isn’t suited to playing in the Portuguese coach’s tactics. We also have Alexis Sanchez and Marcus Rashford out on the left wing so I cannot see Martial getting much time next season if he were to stay. Possible replacement? Internazionale’s Ivan Perisic has been strongly linked again in recent days. The Croatian star predominately plays out on the left but is also capable of playing on the right and in the number 10 to give Jose another versatile player in his squad. Eric Bailly is staying, you’d think Victor Lindelof will get another season, Marcos Rojo only renewed his contract in March and Jose prefers Phil Jones over Chris Smalling. Assuming we do sign a new centre-back then one will surely make way and I think it’d be Chris Smalling. The centre-back is error prone and has been linked to both Leicester City and West Ham United over the past 12 months so we shouldn’t be short of suitors. Possible replacement? Take your pick from a couple of names. AC Milan’s Leonardo Bonucci should be available for a cut price this summer whilst Tottenham will have to reduce their £75 million asking price if they want to sell Toby Alderweireld before he’s available for £25 million next summer. The Dutch international saw fewer and fewer opportunities as the season went on and is strongly linked with returning to Ajax this summer. I’ll assume it’s going to happen before the start of the new season, it’s just a matter of the two teams agreeing on a price. Blind has played left-back, centre-back and even holding midfield for us. Possible replacement? We have sufficient central midfielders and centre-backs now and already had more than enough left-backs so we don’t need a direct replacement for the 28-year-old. 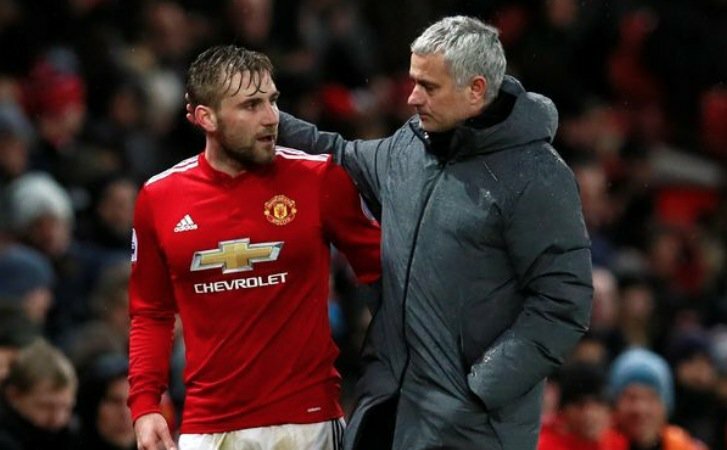 Luke Shaw is in the news this weekend for rejecting a move to Everton. It’s obvious that he’s not welcome at Old Trafford it’s now just a case of another club offering him a sufficient wage to get him out of the club. The 23-year-old’s days have been numbered ever since Jose Mourinho arrived and now is the summer to move him on. Possible replacement? Juventus’ Alex Sandro has been strongly linked and our chances of signing the Brazilian must have increased following the Italian giants’ decision to sign Cristiano Ronaldo for £88 million, meaning they may need to sell to balance the books. The full-back has strongly been linked to Juventus over the past couple of months but no deal has been agreed on yet. Surely it’s just a matter of when and not if Matteo Darmian leaves this summer. Possible replacement? We’ve already signed Portuguese youngster Diogo Dalot who has experience in both full-back roles so Matteo Darmian’s replacement has already been signed.